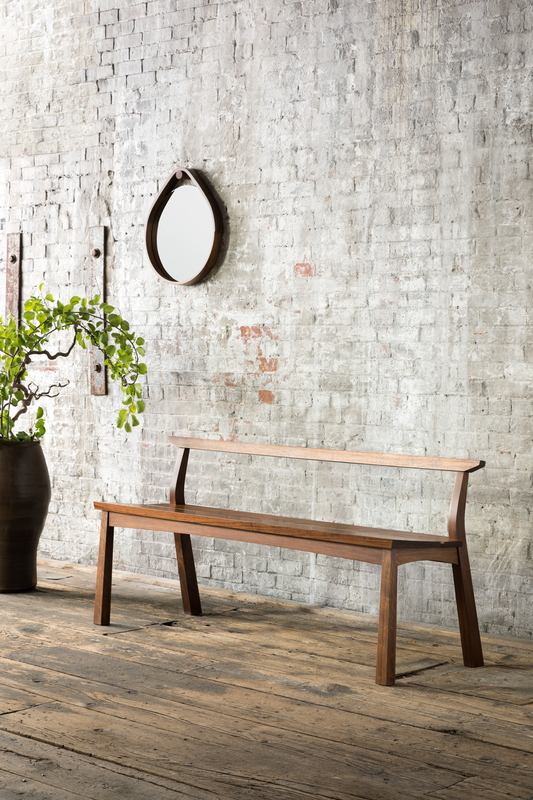 Standing like a calligraphy character expressed in wood, the Edo Bench makes no secret of its Asian influence, with firmly-drawn lines that combine to form a light, elemental form. Made of grain-matched cherry or walnut planks, the surface of the bench is hand-finished and polished smooth. The bench presents a seat that cants to hold its occupant and a carved crest that supports the back. 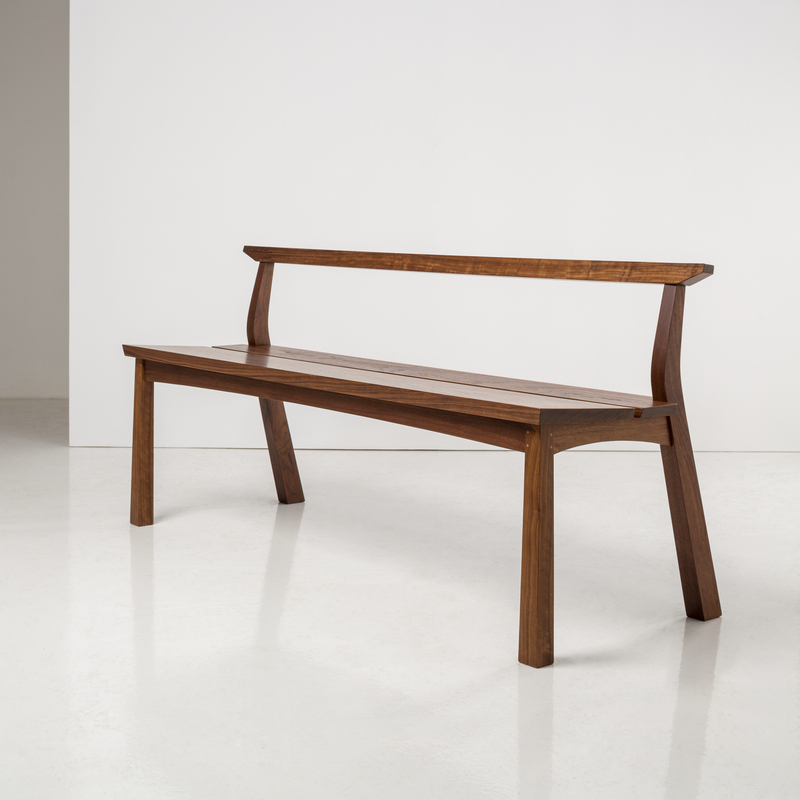 Like every piece in our Edo Collection, the Edo Bench walks a fine line between substance and space. 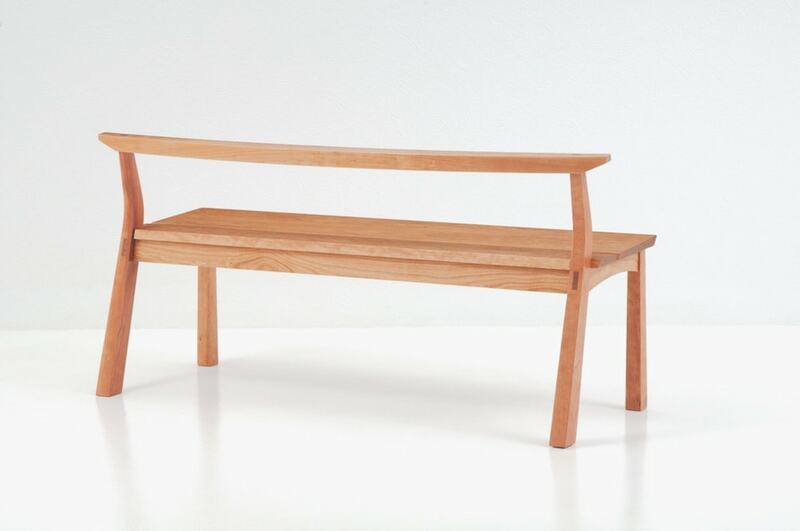 With four stout legs that taper as they rise, the bench presents a clear sense of lasting strength. Like the Asian influences that informed the design – and the Moser tradition of practicality and economy – the substance of the Edo Bench is augmented by its openness. 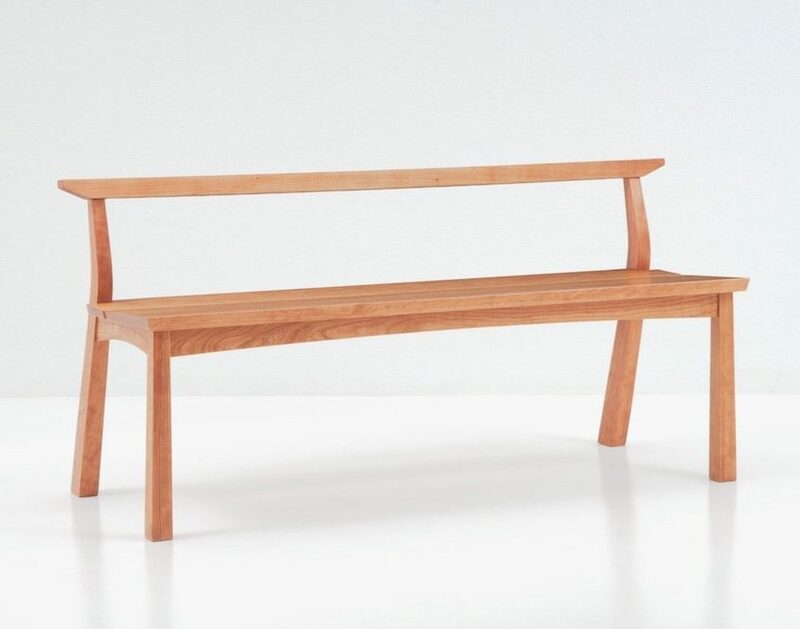 The meticulous joinery of the legs eliminates the need for spreaders, lending the bench a lightness that contrasts artfully with its structure. The rear leg of the bench rises beyond the plane of the seat in a carved arc that supports a simple, solid, hand-carved crest. 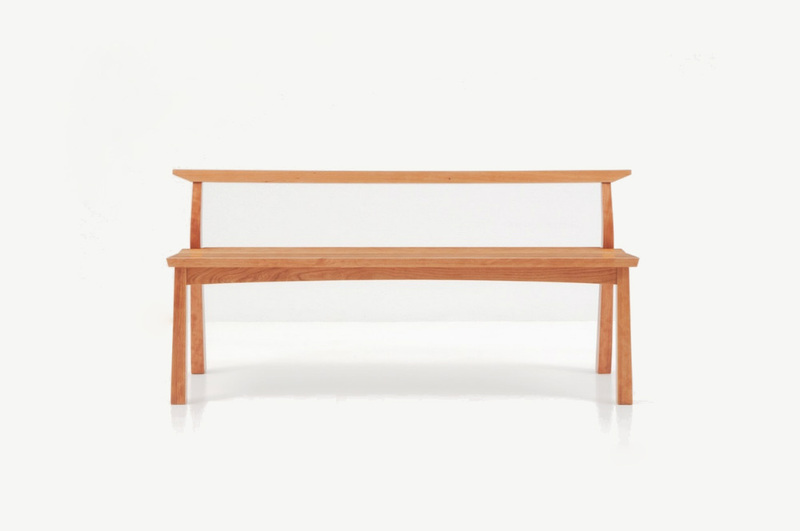 The height is carefully considered and provides abundant support for the bench’s occupants. 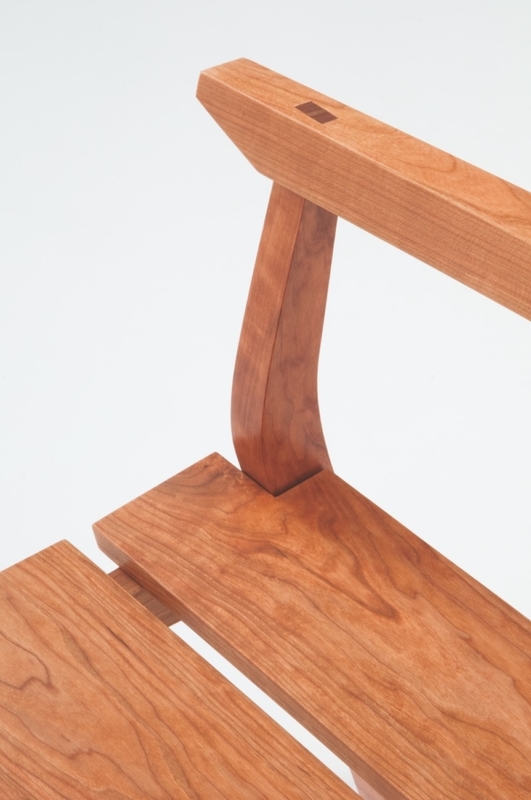 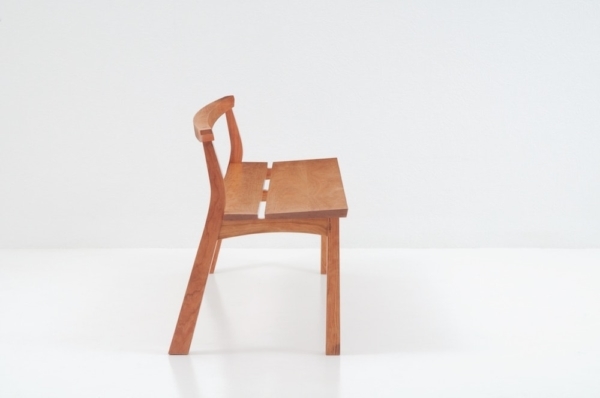 The seat of the Edo Bench provides another demonstration of intentional design. Crafted of two matching wooden planks, the front plank is slightly canted, securing the sitter’s position, while adding a further measure of comfort.